Emergency services have stood down from their flood readiness in the Lake District as river levels recede. Cumbria Constabulary said flood alert levels have been downgraded as the county experiences a drier period. 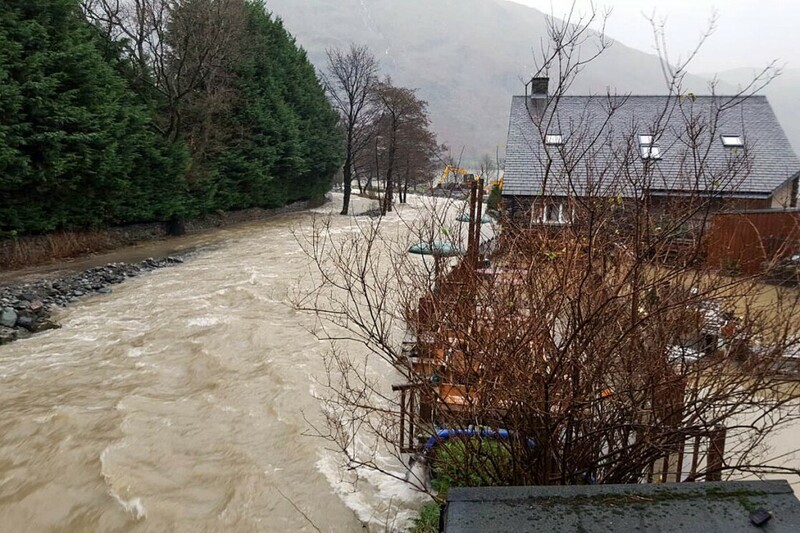 But Glenridding was flooded for the third time in a month yesterday as heavy rain and already saturated fells caused the beck to rise and burst its banks. Kendal, Appleby and Warcop were also flooded. Police said: “Emergency services attended a number of incidents where motorists had ignored road closure signs and continued with their journey only to end up requiring assistance as their vehicles were trapped by deep standing water. The county’s roads and bridges continue to face some disruption. Superintendent Justin Bibby of Cumbria Constabulary, chair of the multi-agency coordination group, said: “The weather has caused less disruption than first predicted but we still have a number of areas suffering from localised flooding and our thoughts are with those that have once again been affected. “The Environment Agency has advised that the risk of severe flooding has dropped significantly. “Partner agencies have worked together over the past 24 hours to co-ordinate precautionary and responsive actions. The efforts of the multi-agency coordination group demonstrated that our approach and plans are well tested for such events. A yellow warning for rain is in place for late today and Christmas Eve across southern Scotland and the Highlands, and a similar warning has been issued for Christmas Day and all of Boxing Day across north-west England, parts of the North-East and Yorkshire and Wales as an area of low pressure moves up from the South-West. The Met Office said: “By the evening of Christmas Day there is a large amount of uncertainty in the forecast for how this rain will behave through the following night and into Boxing Day.